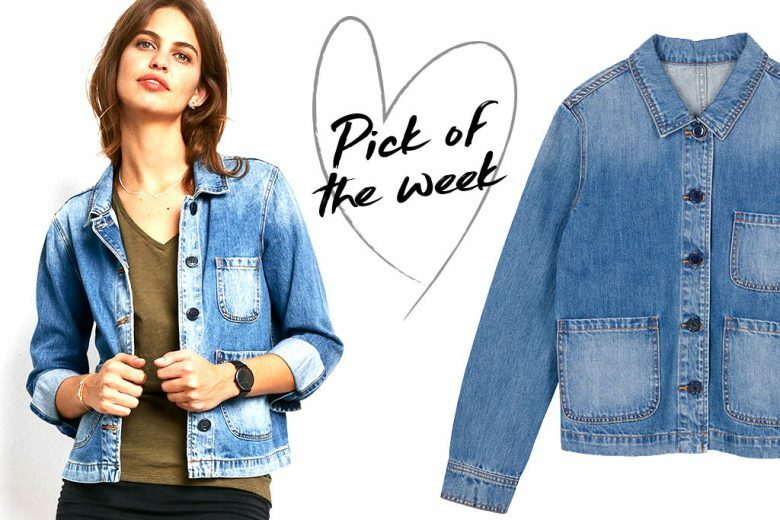 The denim jacket is considered is a stalwart item in any capsule wardrobe. And if you’re looking to replace or update yours, then consider this mid-weight cotton version from Hush. Less structured than a classic denim jacket, the Carpenter Denim Jacket is softer and easier to layer for off duty looks. The faded wash on the pockets also give it a lived in, retro feel, which is how you want your denim jacket to look. If it’s too chilly to wear on it’s own now, then wear over a roll neck jumper and throw on your tailored coat, popping your denim collar up to showcase the different textures. Buy the Hush Carpenter Denim Jacket, £70.